Don Torino, who leads so many of Bergen County Audubon walks with NJMC, has a funny column on the wildnewjersey.tv blog — proposing a Field Guide to New Jersey Birders. 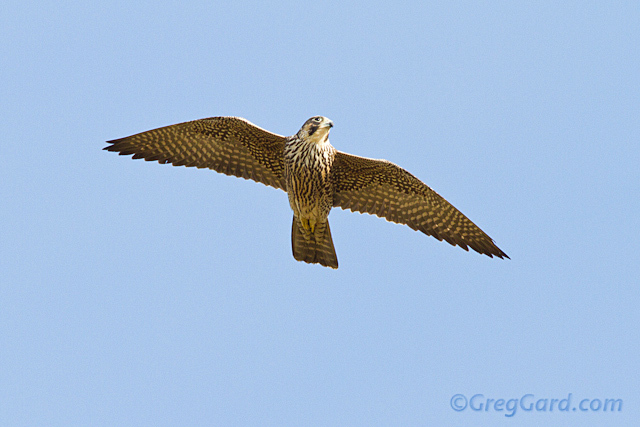 Greg Gard caught the raptor show on Disposal Road last weekend, which included Northern Harriers, Red-tails, and (here's the teaser) either a Merlin or an immature Peregrine Falcon (above). What do you think? (Thanks Greg!) A few more shots follow, including the mystery falcon and a Northern Harrier.